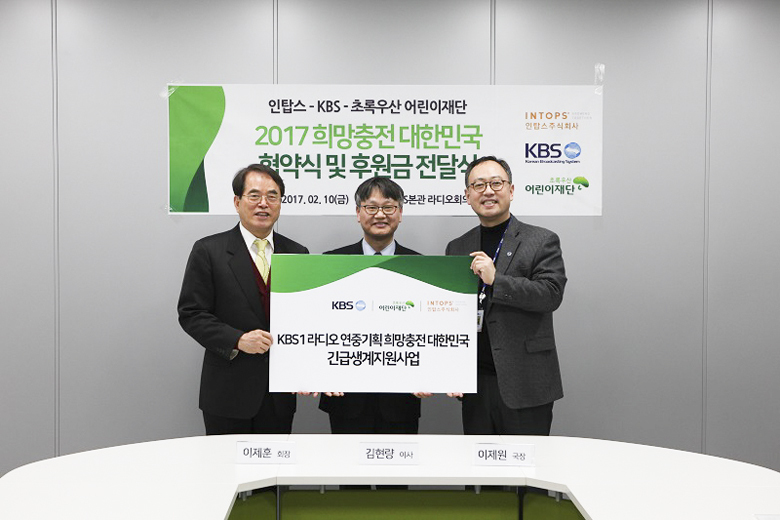 KBS Radio, together with the Green Umbrella Children’s foundation and Intops,is conducting annual fundraising and regular sponsorship campaigns to help children who need help in local community. As part of the Happiness Sharing Project, Intops participated in the official sponsorship of “Hope-filled Korea” in 2017, and plans to support low-income families to help the lives of children to be in a more hopeful and positive way. 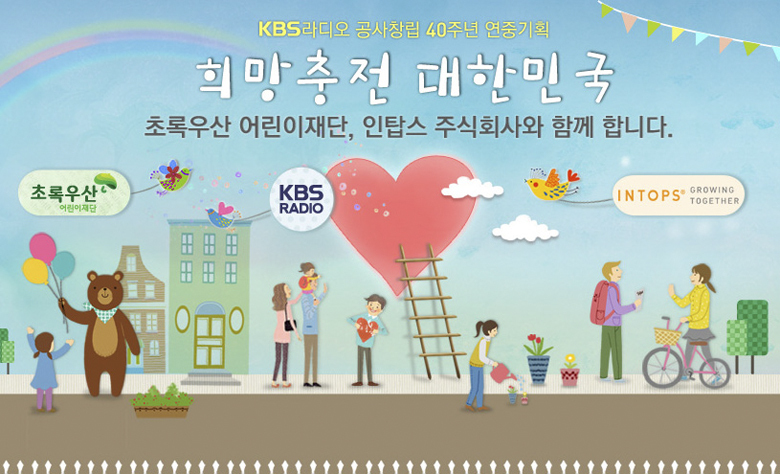 You can send the story of the children who need help around you directly, or you can sign up as friends with KBS Radio on KBS homepage or KakaoTalk Plus friends and send the story.